Latest results from RoSPA* show that reported annual casualties of seriously injured children under the age of five stands at 156. The deployment and evolvement of car seats play an important role in the reduction of these numbers. Thanks to new technologies, the standard safety measure for adults now also became available for toddlers. 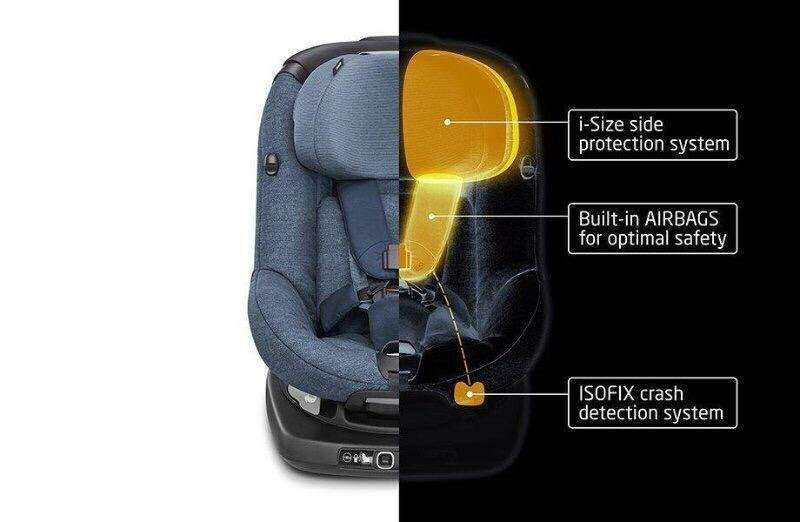 With the development of the Maxi-Cosi Air Safety technology®, car seat manufacturer Maxi-Cosi has launched the world’s first child car seat with built-in airbags. The new car seat works with a CO2 cartridge and an airbag trigger system built into the back of the car seat. The system detects a collision in 0015 seconds, inflating the two airbags in the shoulder pads air within the blink of an eye to cushion the head softly. Tests prove that the Maxi-Cosi Air Safety technology® leads reduction up to 55% of the forces acting on the neck vertebrae and the head in the case of a frontal collision. Previous article Win A Little Tikes Construct ‘n Learn Smart Workbench worth RRP: £169.99!